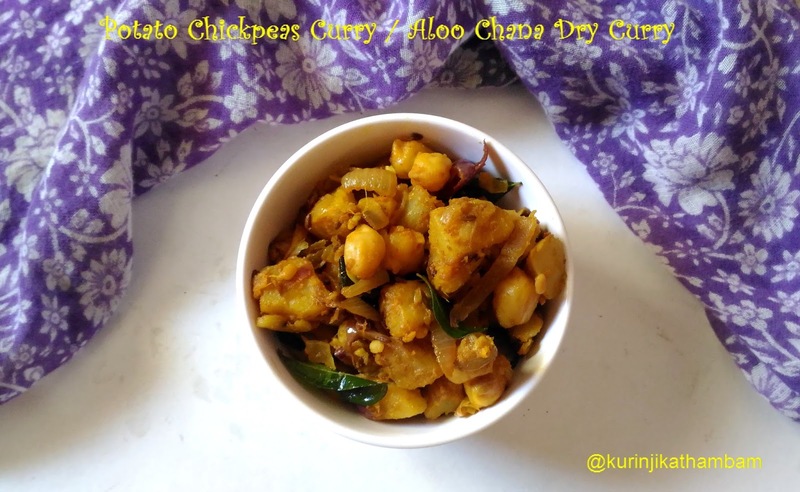 Aloo Chana / Potato chickpeas dry curry is a delicious and yummy side dish. This goes well with any rice varieties and rotis. Click here to view more Poriyal Recipes. 1. Wash and soak the chana dal for 5-6 hours. 2. Wash the potatoes thoroughly and cut them into 2 halves or 4 quarters. 3. Boil the potatoes and chana dal together with little water for 2-3 whistles. 4. Then remove the skin of the potatoes and cut them into small cubes. 5. Drain the water completely from the chana dal. Keep it aside. 7. Add cumin seeds and wait for splutter. 8. Add curry leaves and sauté for few mins. 9. Add finely chopped onion and sauté till they become translucent. 10. Then add ginger – garlic paste and fry till the raw smell goes off. 11. Now add red chilli powder, turmeric power, coriander powder and salt. Sauté for few seconds. 12. 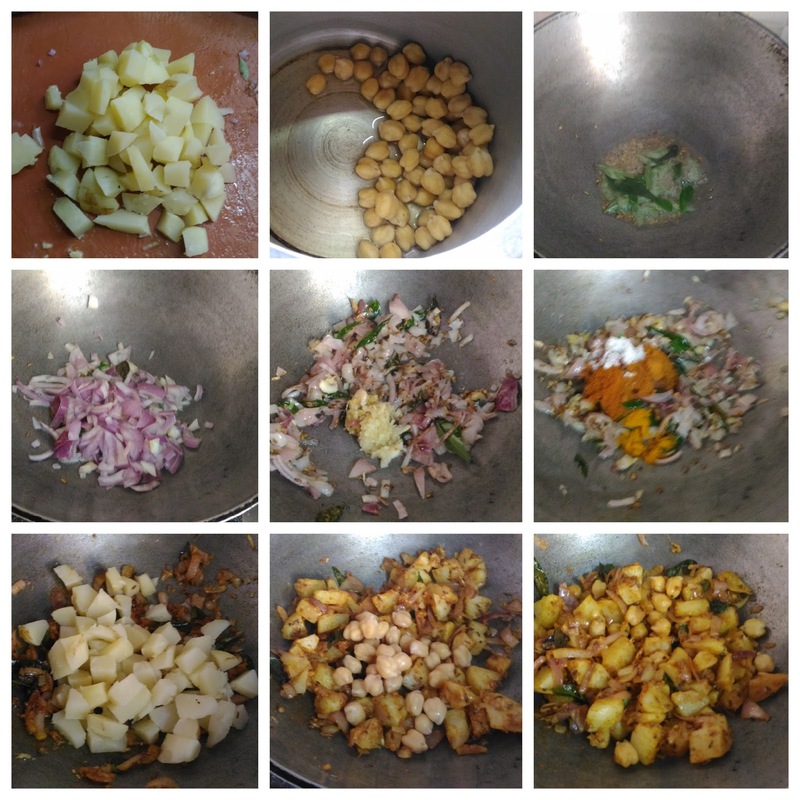 Now add cubes potatoes (from 4) and chana dal (from 5). Sprinkle little water and mix them well. 13. Cook till they raw smell goes off and mix them thoroughly. Yummy and tasty side dish ready !